One of the most beautiful and colorful fish in the world. These fish mainly live in Caribbean waters. It’s considered as a collectible fish, and it is very difficult to find it. 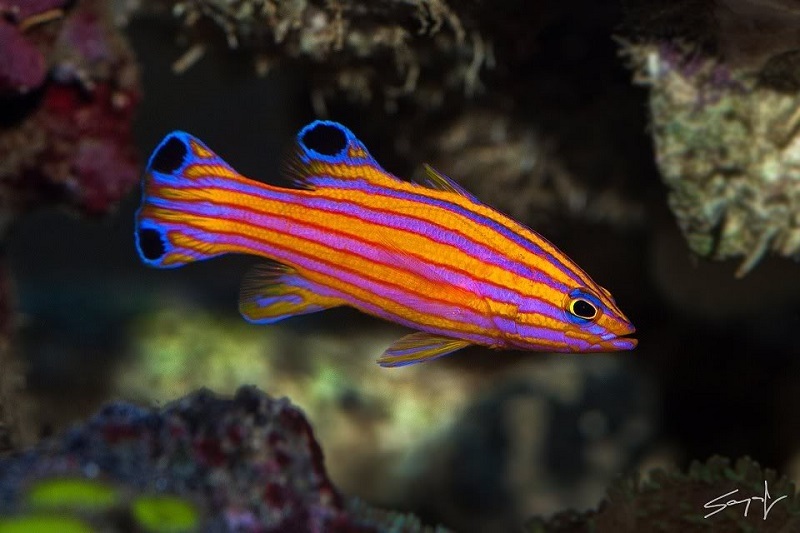 Candy Basslet is kept only in the aquarium, which is deliberately decorated with lively rocks. Click the next ARROW to see the next fish!